I grew up eating this banana nut bread. Yep, this is my mom’s recipe. I have thought about sharing this recipe on my blog for a while, but it has taken me until now to get around to doing so. It is probably one of the most basic banana nut recipes that you will come across. But it truly is my favorite banana nut bread. It is the only banana nut bread recipe that I have ever baked. Really, I can’t remember ever baking a different recipe for banana nut bread. Hey, my family loves it too so I never felt a need to go any further. The one thing that I have changed in this recipe in the past is that I have omitted the nuts. When our kids were little they really didn’t care for nuts in baked goods. I love it when this banana nut bread is baking in the oven; it fills the house with this wonderful aroma. I would love to find a way to bottle the aroma. 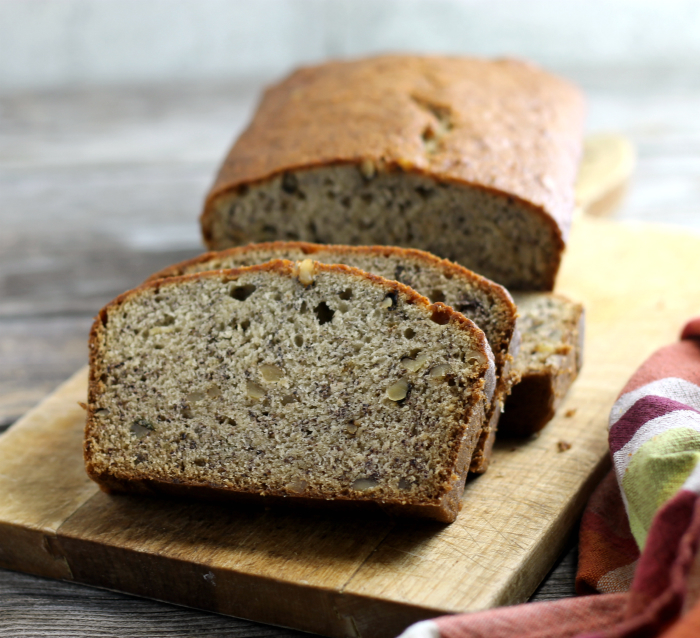 This banana nut bread is one of those recipes that you probably have all the ingredients right now in your kitchen. It does take quite a long time in the oven, but it doesn’t take long to mix up a batch. And even though it does take some time in the oven, just think you will be enjoying that wonderful aroma. I like to slather butter on my banana bread, but I think that I am the only one in my family that enjoys it that way. Either way, it is wonderful bread. 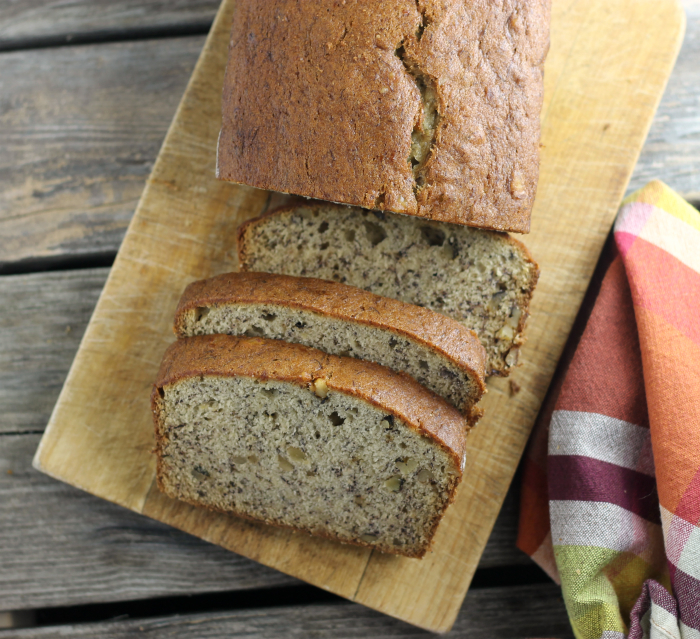 What about you, do you eat your banana nut bread with or without butter? In a medium bowl cream together the sugar and butter with an electric mixer. Sift together the flour, baking soda, and salt. Add to the creamed mixture and mix in. Add the mashed bananas and mix until well blended. Add and mix the eggs into the batter. Place in the preheated oven and bake 55 to 60 minutes. If you like this recipe you may like this one. Thank you for stopping by, I hope you will come back! 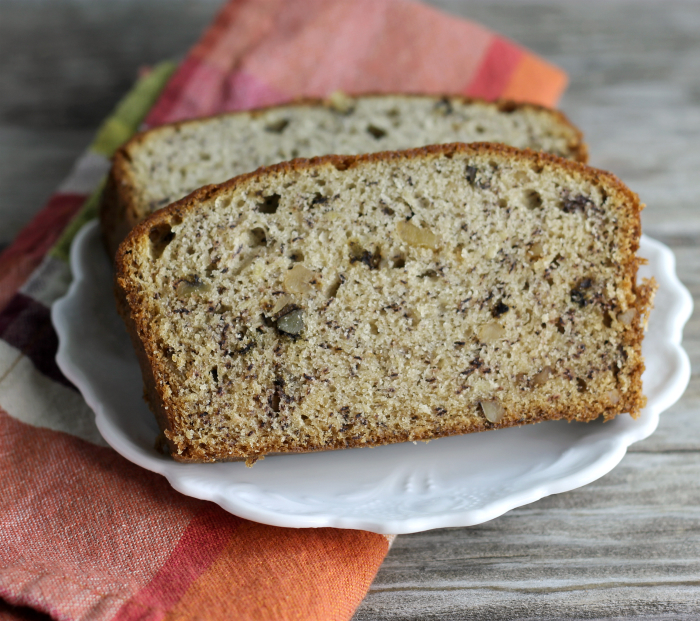 I love banana bread and always look for different recipes to try. This one has such a smooth and moist texture. Awesome! 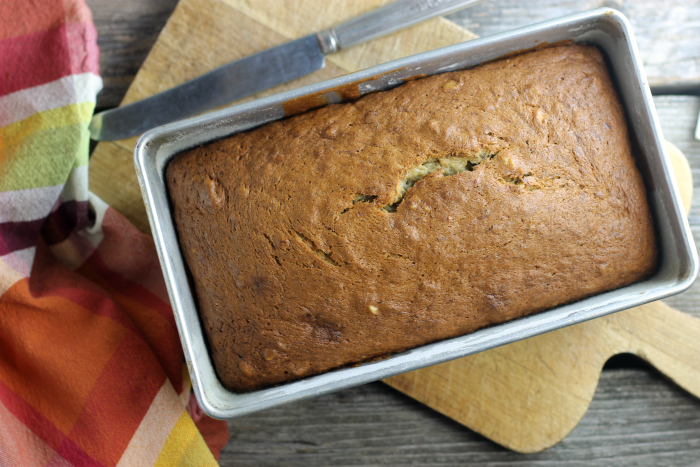 One can never have to much banana bread and this looks like a good one! YUM! I can smell it baking from all the way over here! How much nuts do you add? I didn’t see nuts in the recipe. Think a half cup chopped? Thank you. I used 1/2 cup of walnuts, but you can use up to 1 cup. It depends on how many you like.